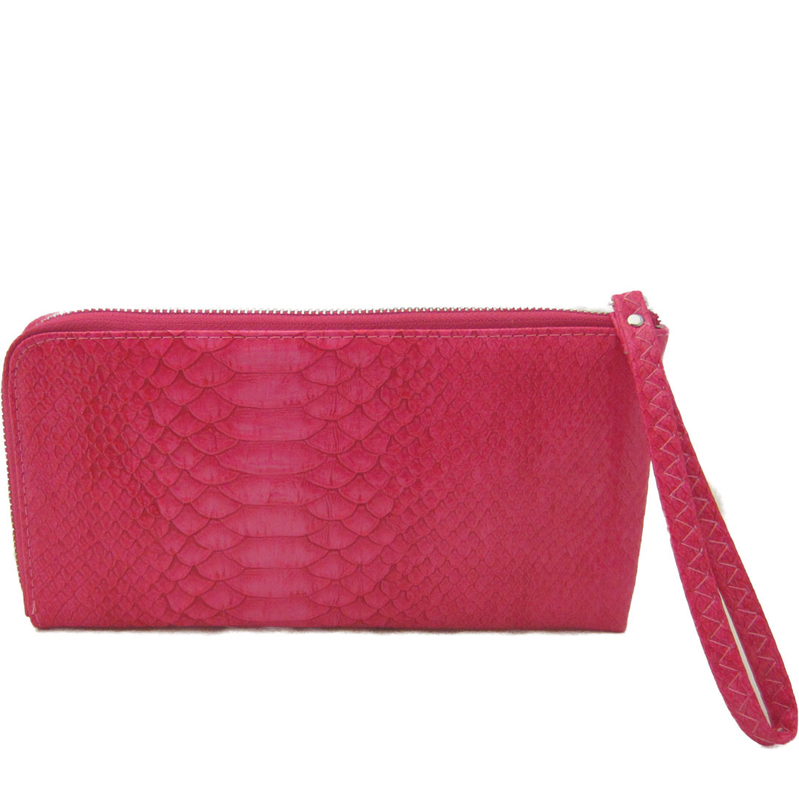 This stylish faux leather pink sling bag wristlet wallet has a crocodile embossed print and a shiny pink finish. It is a clutch style sling bag wristlet wallet which is stylish and practical. It has 16 credit card pockets, middle zipper pocket and zip top closure. This wallet is available in other colors. 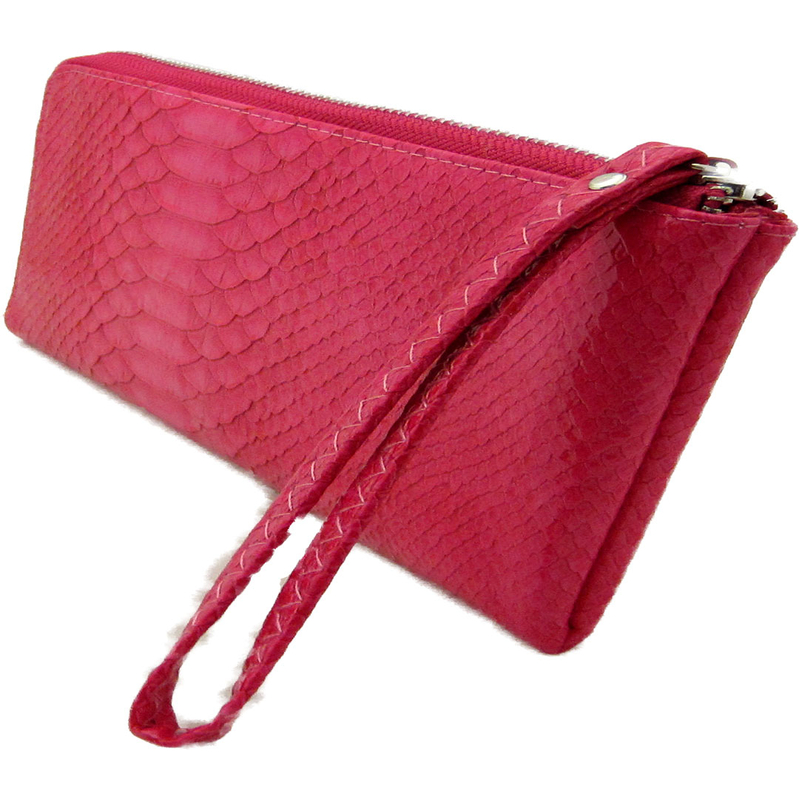 Shiny pink faux leather with a croc embossed print. We have many other unique genuine leather, patent leather, and faux leather handbags and purses available.